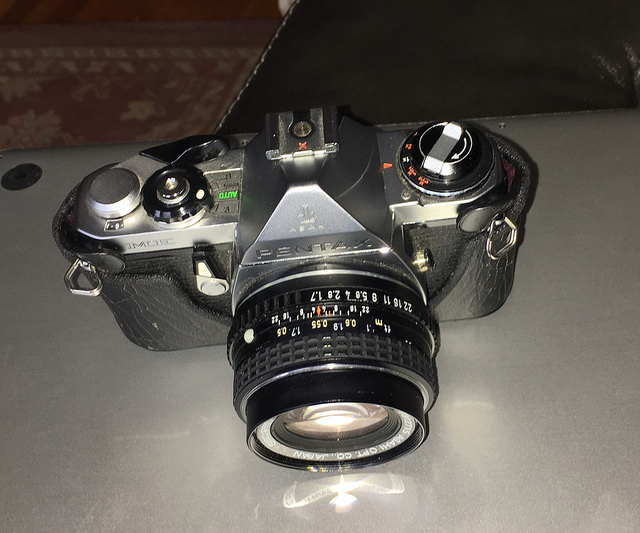 I have nice clean Pentax P30T if someone wants it.Not a top of the line camera,but hey it's totally free.I'll cover USA shipping only. If you are interested in the second camera I listed send me a PM, and I'll tell you about it. SLR was claimed quickly on another photo forum as expected. Taker will be quite pleased I'm sure. If I hadn't claimed your Ricoh, I certainly would have taken a chance. I've exhausted my film era equipment. I don't have any cameras anymore, I sent the last batch to Eric a month or two ago for parts. Didn't know you were going to put this thread up or I would have waited. Yes, that was my intention. 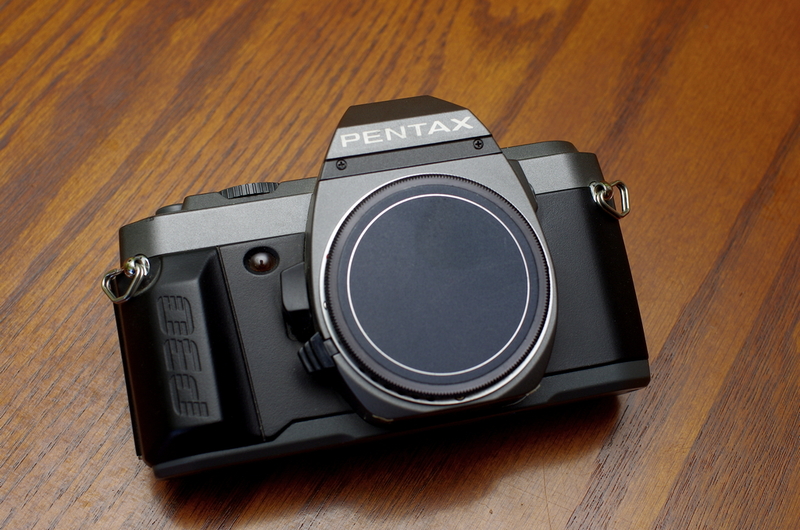 Hopefully, it will help other Pentaxians get their cameras fixed more quickly. 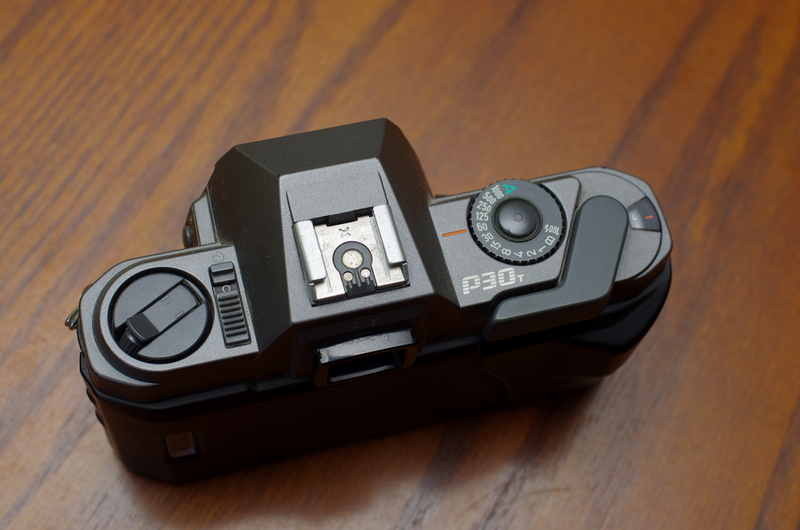 There was two K1000s and a MZ-7 miffed up focus screen only thing wrong with it, plus it had the FG battery grip on it. I was thinking about this today, and I still might have something to give away if anyone wants to take a chance on some expired film. I have a couple of rolls I bought a few years ago that I'm not ever going to use. One I know is Fujichrome, Provia 100F, can't find an expiration date on it because I don't have the box, just the canister. And a roll of Fujicolor Superia 1600. I'll send out for free to anyone who wants to take a chance on them. Film is spoken for and I found an extra roll too, a Tmax 3200 that Helios is going to take off my hands. Most, if not all the rolls are 36 exp rolls. He says he'll share the results once he's taken them up. One roll was slides. Can't wait to see what he does with that one. How about a film retriever gadget? I have one of those too. Bought the same time I bought my film cameras when I joined here, nine years ago. 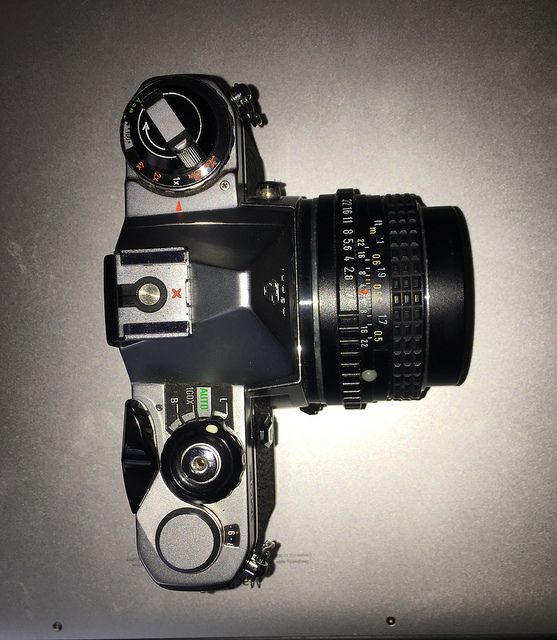 With the K1000s I could tell when the film reached a certain point and could stop it from going all the way into the canister but with those modern auto cameras (giggles) the film slipped inside too fast and I used the retriever to pull it back out. That was back when I still did my own developing. Anyone interested by 25x 35-7 non-perforated Print files for archival? oh and my fantastic handcrafted Jiffy Calculators for night exposure are still available. Last edited by Helios 1984; 12-20-2018 at 07:00 PM. Mine were Pentax SLRs. A ZX-5n and the MZ-7. No fear of the gear messing up. BTW, the film retriever is still in it's little plastic zip locking bag container it came in, with the initial wording of what it is. Coming to this kinda late. I have an ME in full working condition for anyone who needs one. I liked my ME Super so much, years ago I bought a second ME as a backup body. 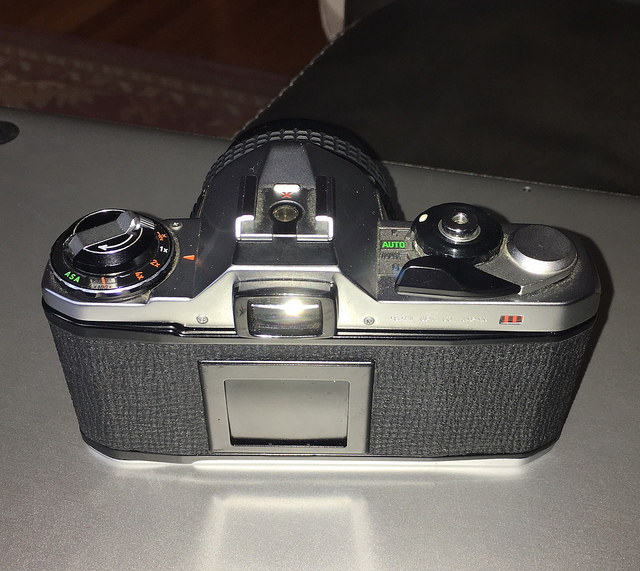 Now, I mainly use my rangefinder and ME Super, and I don't need two ME's. So I'll keep the Super, and give the ME to whoever needs it. It works perfectly -- meter is right on, shutter speeds sound good. 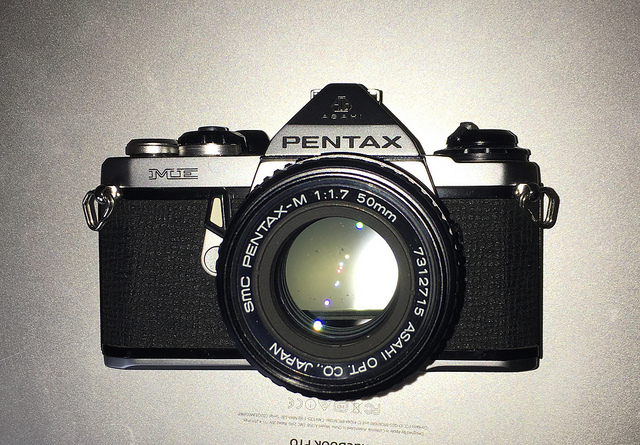 Lens is the ubiquitous but still fantastic SMC Pentax-M 1.7 50mm. The whole camera is clean and ready to shoot. I'll even throw in 2 new batteries. Comes with a pretty beat up everready case. First request takes it, though it would be nice if it went to a new film shooter, since it's such a nice starter camera. (Aperture priority, automatic shutter mode only, unlike the Super.) Shipping is on me within the lower 48. Sorry, only available in the Cont USA. Last edited by Flint Ingley; 12-21-2018 at 02:43 PM. I have a couple of straps in very good condition if anyone wants one or both of 'em. Free shipping to USA & Canada. 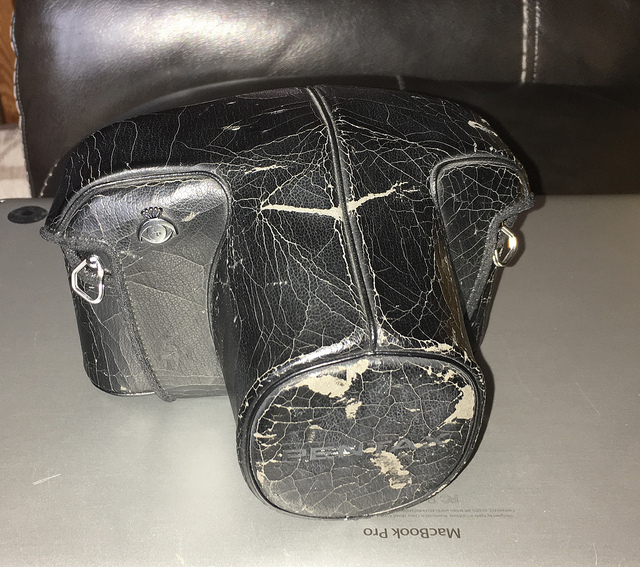 Edit: the top strap in the photo is gone, the bottom strap is still available. Edit #2: both straps now gone. Last edited by luftfluss; 12-23-2018 at 09:14 PM. Which one is the nylon one? I need one. I have one strap I was going to give my daughter when she comes over next week. But my other granddaughter is getting my K-5 after Christmas and I don't have a strap for that camera. 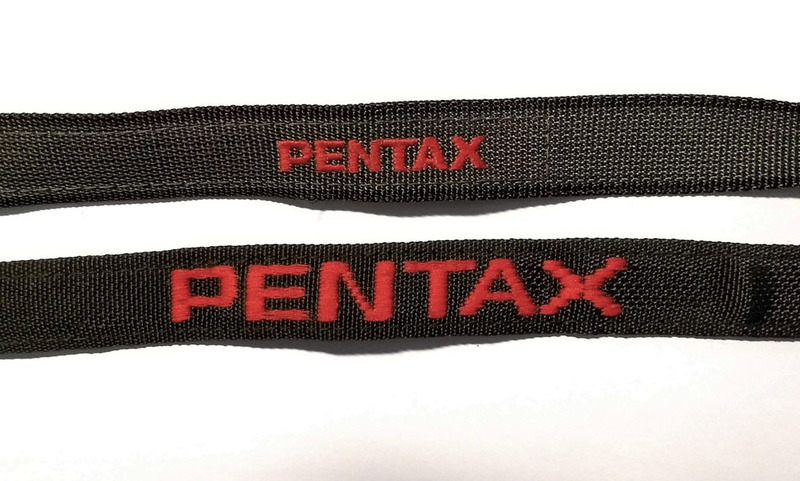 It would be nice to have a Pentax strap to include in the K-5 box with camera and all that came with it when I bought it. When she receives my K-5, we'll be a Pentax family.